Want to reach your target audience at the right time, and with the right message? 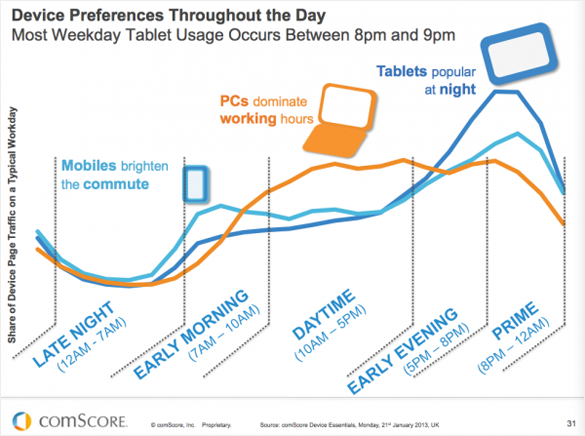 Pay attention to what types of devices your target audience is going to be using throughout the day. For the most part, you’ll find that there’s a great diversity. More users are opting for multi-platform access to content – switching between desktop devices, tablets, and smartphones.